Bad breath can be a social nightmare. While it may have dietary origin, often due to an indulgence in garlic or onions, it is more often due to the presence of bacteria in the mouth. In some cases, those with dry mouth may also be at a high risk for bad breath. Breath mints, mouth rinses and gum will only mask rather than treat the problem when bad breath is caused by periodontal disease. Periodontal treatment is necessary to eliminate bad breath caused by periodontal disease. 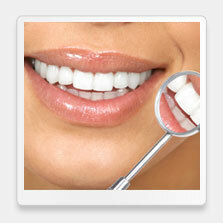 Gum disease generally begins slowly and silently. The bacteria in plaque inflames the gums, causing them to become red, swollen and irritated. The condition is rarely painful, but gums often bleed when teeth are brushed or flossed. Gingivitis, the earliest stage of gum disease, is most frequently caused by inadequate dental hygiene. If treatment is sought early enough, gingivitis is entirely reversible. However, if the disease progresses, pockets of bacteria develop along and beneath the gumline, causing gums to separate from the teeth. Bad breath is quite common at this stage because the bacteria can proliferate in these pockets, producing a strong, foul odor. 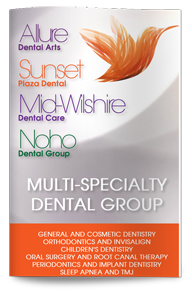 Our West Hollywood dentist can prescribe the most appropriate treatments to reduce the number of bacteria and restore your oral health. Scaling and planing is one of the most conservative treatments and involves a deep cleaning of the plaque and tartar along and below the gumline. Once the bacteria and plaque are removed and the infection heals, your breath should begin to improve. Talk to our dentist today if you are suffering from chronic bad breath. We can help.